I had common Aperture Block Failue K-30 / K-50 Aperture Block Failue - Repair Solution available Read more at: https://www.pentaxforums.com/forums/151-pentax-k-30-k-50/321871-k-30-k-50-aperture-block-failue-repair-solution-available-43.html#ixzz51dmLyNgE on my K-30 too. I successfully repaired it by grinding electromagnetic actuator moving metal plate as other people did and now the aperture mechanism seems to work again. Is it in right position? I cannot check it because I don't have/know anybody with similar camera. Also it would help me if someone finds detailed photos of this mechanism or some drawings from a service manual (if it had leaked somewhere). It is NOT in the right position. I checked against my K30. Open your K30 again and carefully check what could have gone wrong. by twey user it seems to be correct. In basic position the lever is in the middle and the spring is hidden. When pres the shutter in bulb mode the lever moves up (to the right on photo) and the end of spring will jump out from bottom. There is smaller secondary plastic lever linked with main lever that moves together that is below the spring. I suspected if it shouldn be above spring end but twey photo says not. The problem is that lever movement goest 2 different way when shutter is pressed that changes randomly by my observation. 2) more complex movement when it seems the lever quickly goes up then immediately back to center and then immediately up again. Also the mirror flips twice. Spring jumps the same way. After release it moves back to center. In a rare case (happened one time during maybe 200 shots it just tried) the mirror get stucked partially flipped and I have to turn off/on. All I did I replaced the sanded solenoid with cheap green one from ebay. I sanded it too much and it had too weak holding power. New green one holds much more tight. 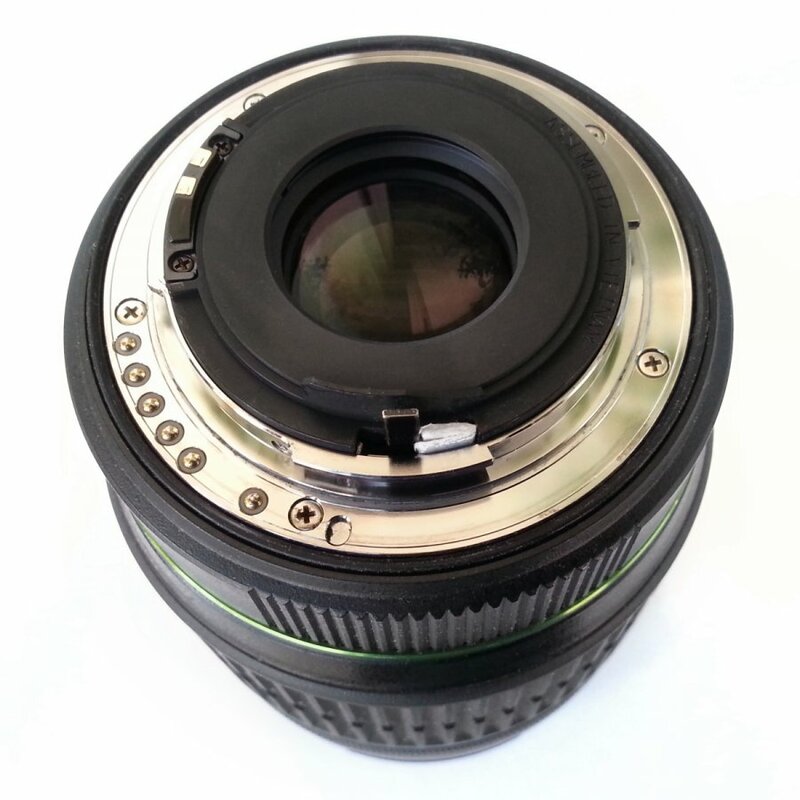 When lens is mounted the plunger moves correctly. Last edited by RayeR; 03-06-2019 at 10:33 PM. The viewfinder issue was like the mirror being very slightly tilted to the wrong angle, so the top half if the frame was blurry and the bottom half sharp. Autofocus was not working as well if I recall. Ajax156, interesting info that I'm not alone with this problem (maybe not the same, my cam FW doesn't freeze) but unfortunatelly we still don't know the cause. It's positive, that at least in your case, the issue was temporal. Just to be sure, your mirror problem started just after you replaced the solenoid and has gone when you opened and assembled it again? How it moves? In my case I can pull it very softly down to default position (one half), when i release the lever it moves up via som spring, not much fast. Just want to see if it behave same or differently. I'm not able to test it sorry as I no longer have the camera. I honestly don't think the mirror issue I had was related to the replacement of the solenoid per se, I think it was more likely the disassembly itself which caused the issue I had as disassembly-reassembly process seems to clear it. No, I didn't try jamming the aperture lever as described.